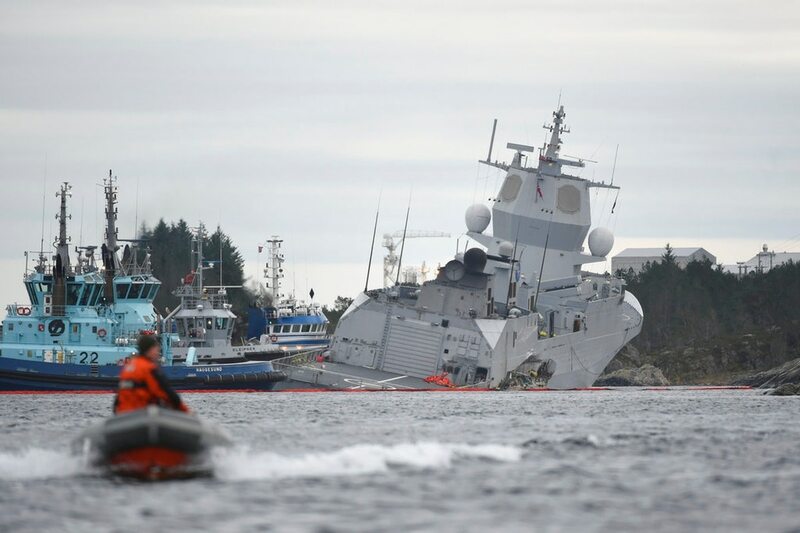 COPENHAGEN, Denmark — An oil tanker rammed a Norwegian navy frigate Thursday in a harbor on the country’s western coast, tearing a large hole in its side, the military said. The frigate’s 137 crew members were evacuated amid fears that it may sink. 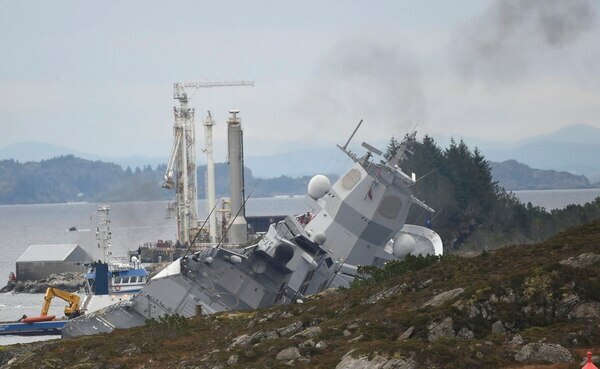 Eight people on the KNM Helge Instad were injured in the 4 a.m. collision in Sture, north of Bergen, said Rear Adm. Nils Andreas Stensoenes, the head of Norway’s navy. Two of them were taken to a nearby hospital. The ship, which had recently taken part in the vast Trident Juncture NATO military drill in Norway, is “strongly listing,” Stensoenes told a news conference Thursday afternoon. The frigate was lying in the water almost on its side with its stern under the water.